I love the simplicity, and the colors in this one. What a dramatic painting! I love that your work has both realistic and abstract qualities. Thanks Carol. Believe it or not, I spent a lot of time working on this one. 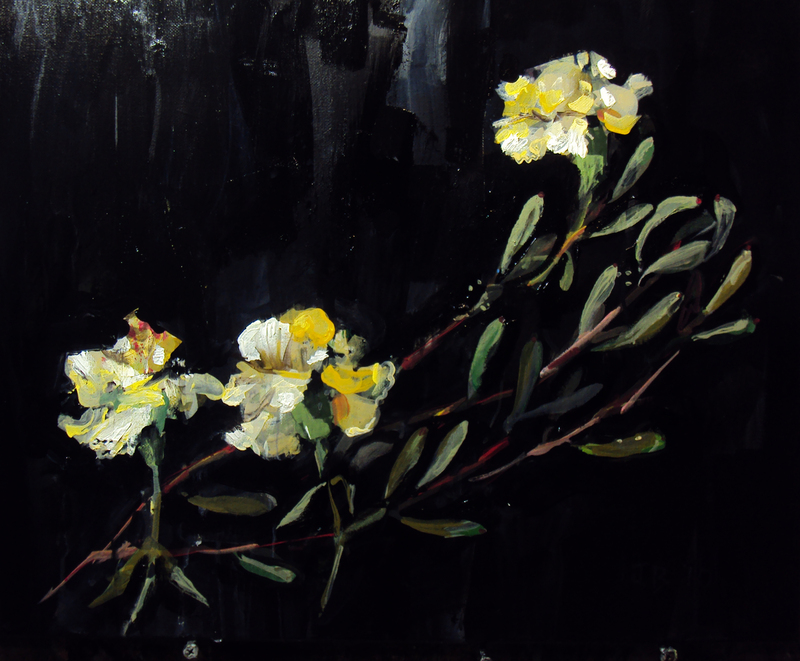 Flowers are rather daunting to paint. They can really challenge you. These carnations held their own with me. Thanks, Robie. What a great idea! Wow, i really like the deep, dark feel this piece has. Thanks, kseverny. I appreciate the comment. Beautiful Jay! I love this piece! Another one of my many favorites of yours!